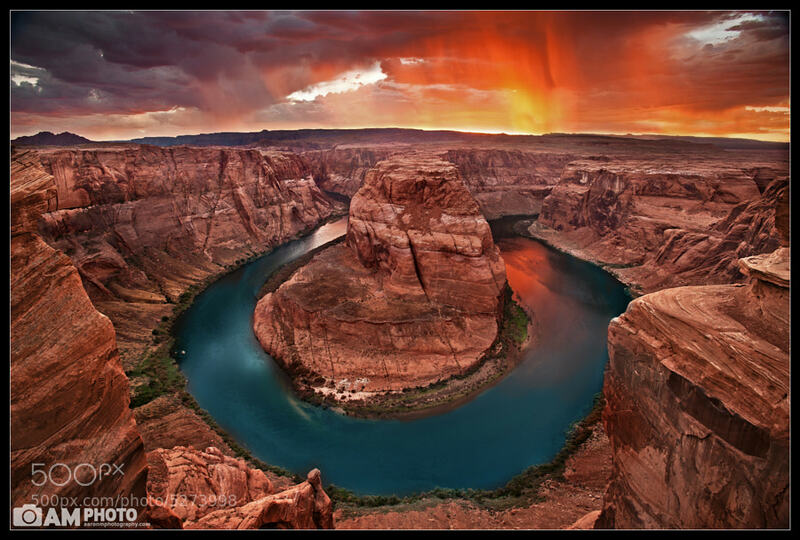 Horseshoe bend in Arizona is offers one of the best look-offs you can find anywhere in the United States. I recognize that this is a bold statement because lets face it, there are some incredible places within these United States. As you look at this image, you’ll recognize that you’ve seen variations of it over and over before. In fact you’ll realize it’s one of the more iconic photos of the southwest there is. That’s when you’ll begin to realize that I may be onto something when I say it’s one of the best overlooks around. Horseshoe Bend sits just outside of the state of Utah, just a bit south of Page Arizona. Which makes it about a 3 hour drive give or take from Bryce. So if you’re looking for something else to include in your travels then this is a fantastic place. It offers easy access and views that you will not forget, of the mighty Colorado River meandering it’s way south.